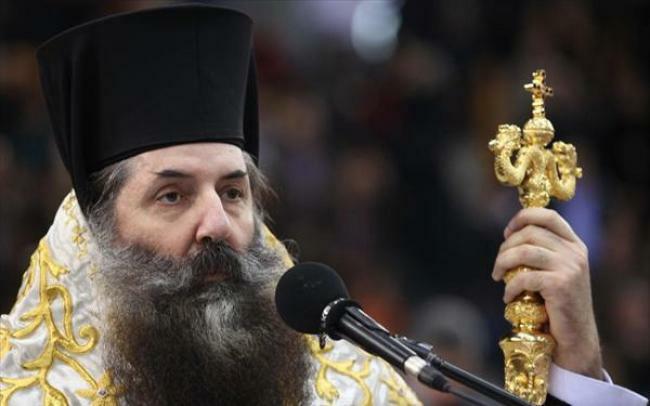 Greek Orthodox Bishop, Metropolit Seraphim of Piraeus caused a controversy this week when he wrote Turkish President Recep Tayyip Erdogan and urged him to convert to Christianity. Seraphim told Erdogan to make Vladimir Putin his godfather in a 37 page letter. He warned Erdogan he may find himself in hell with Mohammad. Greek Orthodox Bishop, Metropolit Seraphim of Piraeus has caused controversy by urging Turkish President Recep Tayyip Erdogan to convert to Orthodoxy with Russian President Vladimir Putin as his godfather. And no, it’s not a joke. In a 37-page letter to Erdogan written in Greek, Metropolit Seraphim asks the Turkish leader to denounce his Islamic faith and be baptised in the Ecumenical Patriarchate of Constantinople. “If you want to save yourself and your family you should convert to Greek Orthodox Church, the only real faith,” Seraphim writes, reports Keep Talking Greece. “We propose and we advise you to come to the arms of the Greek Orthodox Church before the end of your life on earth. He calls on Erdogan to “repent, cry, be humble and believe in Christ,” and claims that “the Holy Trinity of God will open the arms for you”.